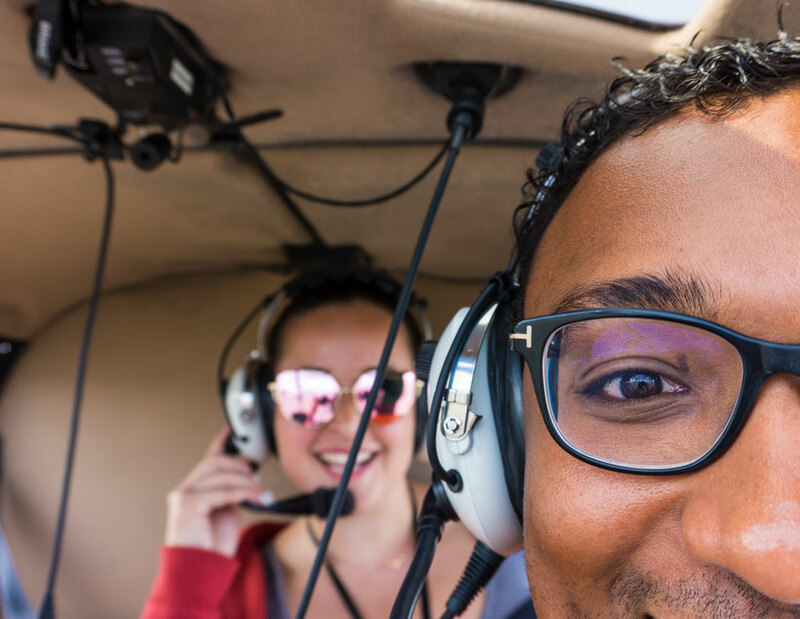 Read this before booking your Helicopter tour! 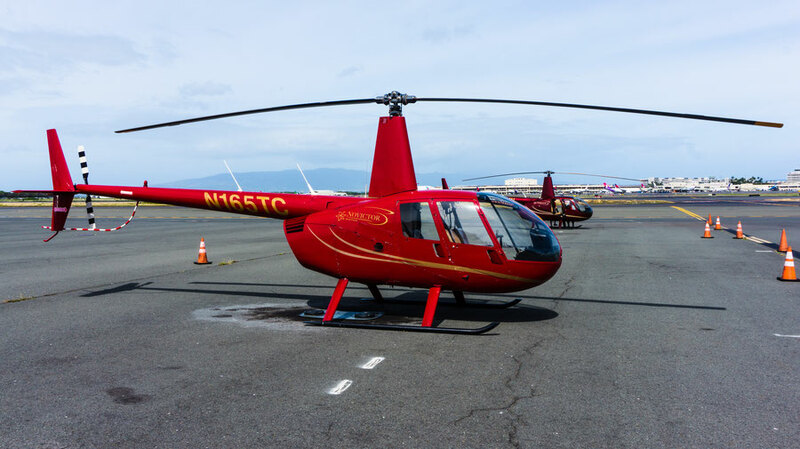 This week a post about one of the highlights of our trip to Hawaii, the Helicopter tour! If you want to know how to get the most out of your (lets be honest) expensive tour, continue to read below! My, oh my. This has been one of the best things to do on my Bucket list! I always wanted to fly in a helicopter. The plan was to do this on Hawaii because, well, I kinda live by the motto go big or go home. For example, the first concert I have ever been to was Beyoncé, the first festival i went to was a week of Sziget in Hungry and the first vacation with my Boyfriend was a road trip in Florida. 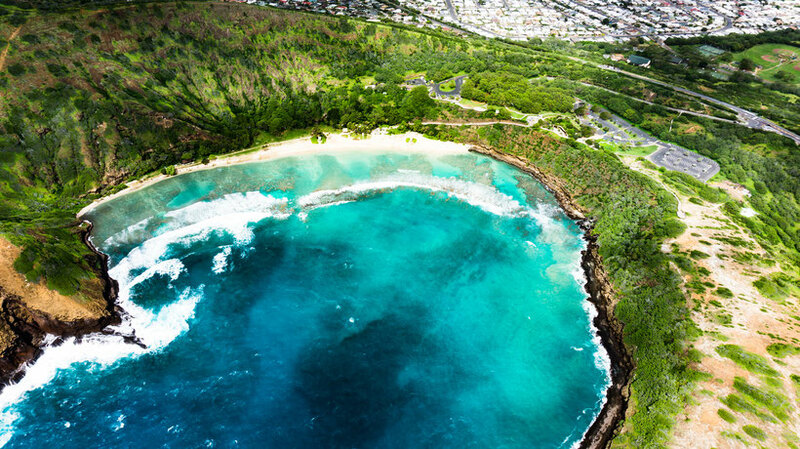 It only makes sense that the first helicopter tour would be above the gorgeous paradise called Hawaii. There are some decisions you should make before booking your tour. Below I will help you with your decision so you don't need to spend your precious vacation time on research! The first thing you need to decide when doing the tour is on which Island. If you only stay on Oahu, the choice is simple, but if you go to 3 islands like we did, there is a lot more research to do. The Islands we had to pick from were Oahu, Maui and Big Island. With every Island there is a completely different landscape, so this decision is pretty important to figure out. 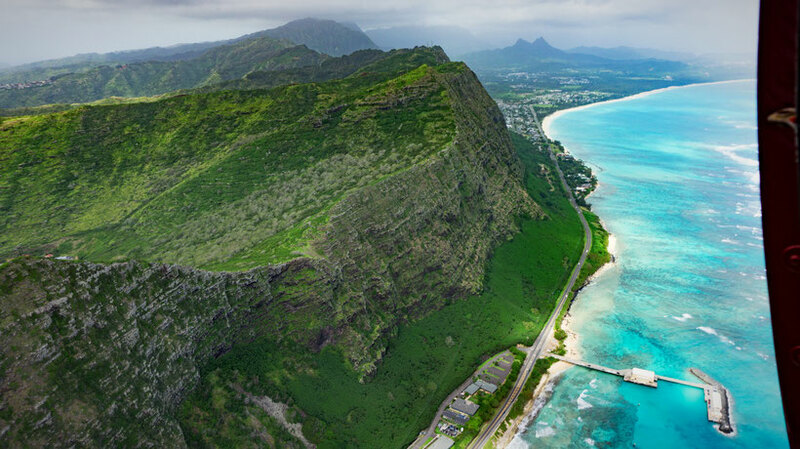 Oahu is the Island where you find the biggest city, nightlife and hotel chains. 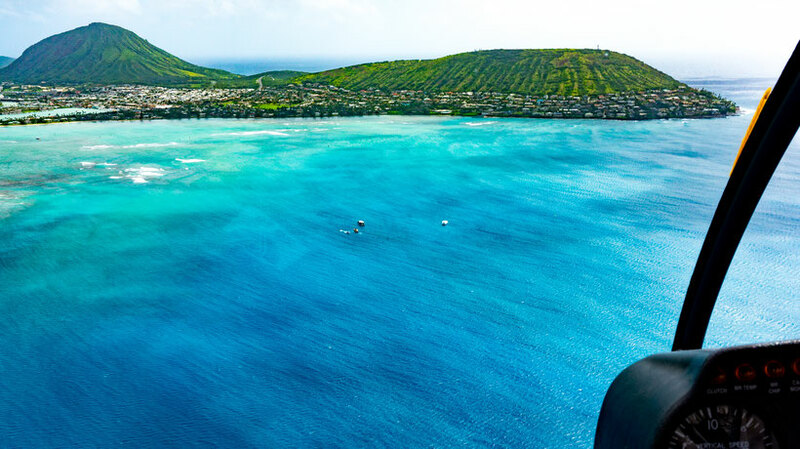 Beyond the modern metropolis of Honolulu’s world-class shopping and dining, Oahu’s breathtaking scenery awaits. Diamond Head's extinct volcanic crater, the pristine coral reefs of Kaneohe Bay, the landmark of Chinaman's Hat, the "Jurassic Park"-like cliffs of the Nuuanu Rainforest, the breathtaking North Shore and Sacred Falls, the panoramic Dole Plantation, and of course Pearl Harbor and the Arizona Memorial. Maui is famous for the Road to Hana, but the Island has much more to offer. See Haleakala Crater, Oheo Gulch, Hana Town, Hana rainforest and the rugged shoreline of Northeast Maui. 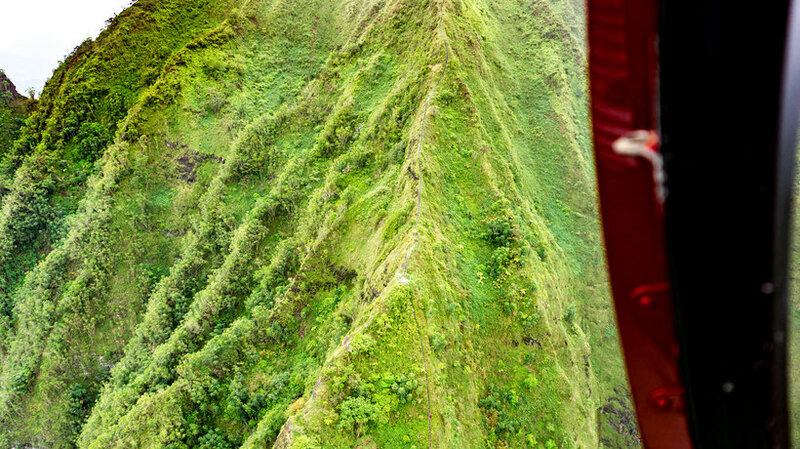 Explore deep, meandering valleys set in the rainforest of the ancient West Maui Mountains. Knife-edged ridges with mist-shrouded peaks separate the spectacular valleys that give Maui its nickname, "The Valley Isle." Waterfalls cascade down from towering cliffs into the streams running along the rainforest floor. Big Island is, as the name states, the biggest Island of the State Hawaii. 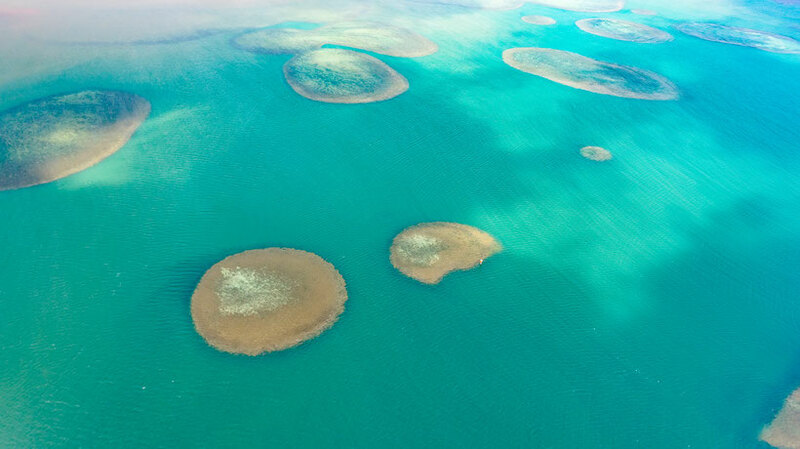 With this there is also a lot of terrane you can cover during your flight. One of the pros of the helicopter tour on The Big Island is the change to see the most geologically active environment on earth at Kilauea! View lava flows and black sand beaches. Experience all the awesome spectacle of Madame Pele's lava and volcanic badlands, then explore the lush rainforests of the Hamakua Coast. The towering sea cliffs open into the dramatically deep and meandering valleys of the Kohala Mountains. Beautiful waterfalls cascade thousands of feet into the rainforest below and remnants of ancient Hawaiian settlements are still visible. Tip: Make sure you check with the helicopter company what the flying route is if there is no lava flow. 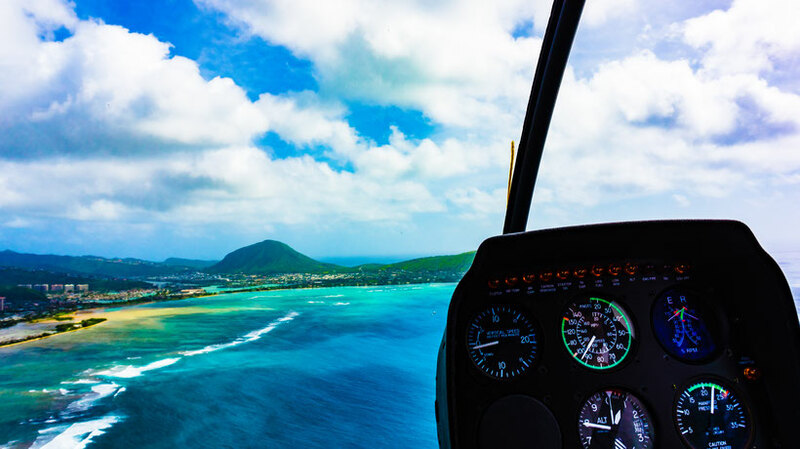 Next you should wonder which companies offer helicopter tours on the island you picked. It is good to know that each company has their own helicopter models, with a different seating arrangement. Also, if you want to fly with 'doors off' you should inform if there are any extra costs. We flew with Novictor, and because their helicopters only offer room to 3 passengers and one pilot, no matter where you are seated, you have a great window view! We were also offered to fly doors off, in which case they don't charge you extra. We were lucky that there was no third passenger in our helicopter so we had a private flight! If you ever are looking to do a tour I would recommend you to book with Novictor Helicopters. Probably the most popular helicopter company on the Islands. If you arrive on the airport of each Island Blue Hawaiian has a counter desk present. 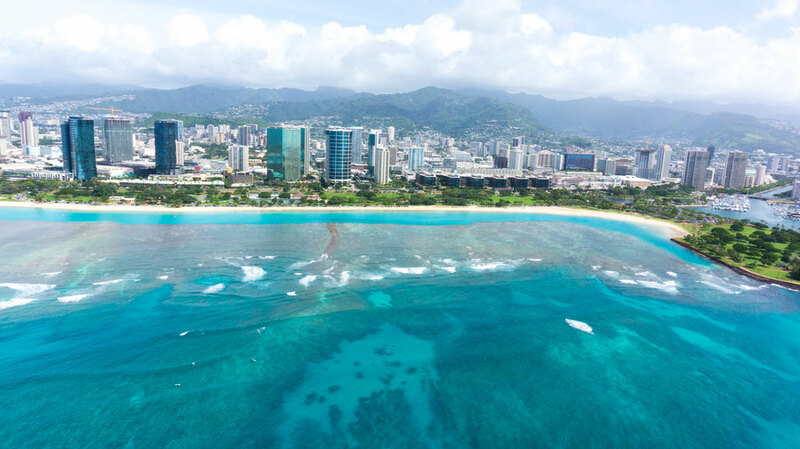 The downside of Blue Hawaiian is that their prices are higher, and their helicopters offer more seats, so you are not guaranteed a window seat. There are a lot more smaller companies you can choose from, Make sure you check their safety regulations, pricing, route offering and seating arrangements before you make your final decision. With every flying time comes a different route, or with every route comes a different flying time and therefore a different price. Doing a helicopter tour is most certainly not a cheap thing to do, especially on a student budget. You should calculate this into your budget before hand, or wait till the end of your trip to see if you have any cash left. This checklist from lovebigisland helped me a lot as a newbie that never flew in a helicopter before. How much airtime do I get during your tour? How many passengers do you take in your helicopter? 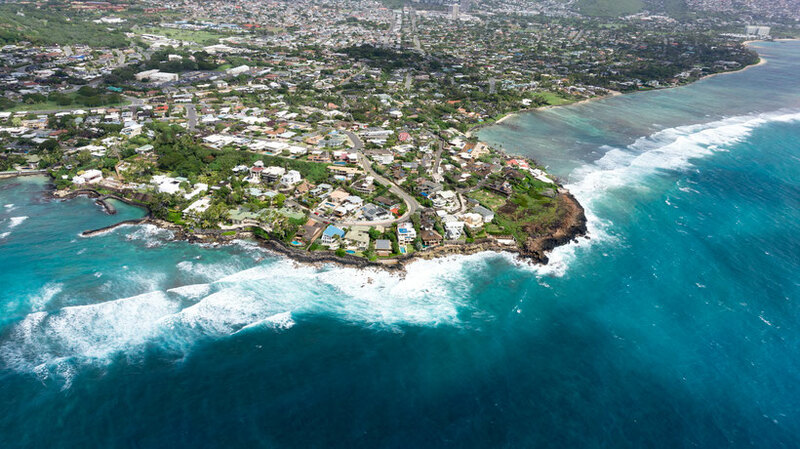 What areas of the Big Island do you fly over? How close does your helicopter take me to waterfalls, craters, lava, etc.? Is a tour with “doors off” possible? From which place on the Big Island do you helicopters take off? And do you provide transport from [your location]? If there are no active lava flows, can we still see lava lakes or otherwise active lava? How flexible are you on the timing and route of the tour? Do you offer special fares? What should you wear during the flight? I recommend that you wear layers, and no matter how hot it is on the ground, always bring your vest or a jacket. It is pretty cold up in the sky, especially when you fly doors off, like we did. Enjoy the ride because it will be one to remember! Want to know more of my travel secrets? Keep an eye out for my next post and subscribe to my newsletter so you will be the first to know. Check out my YouTube Channel for my Travel Vlogs. © www.RachellesWorld.com, 2016. Unauthorized use and/or duplication of this material without express and written permission from this site’s author and owner is strictly prohibited. Excerpts and links may be used, provided that full and clear credit is given to www.Rachellesworld.com with appropriate and specific direction to the original content.